ConceptDraw DIAGRAM extended with Typography Infographics Solution from the “Infographics” Area is the best Infographic Generator. Make sure in it right now! with large quantity of ready-to-use vector stencils that will help you design your own Typography Infographics of any complexity in minutes. Simply drag the needed objects from the libraries to save your time and create typography graphic quick and easy. 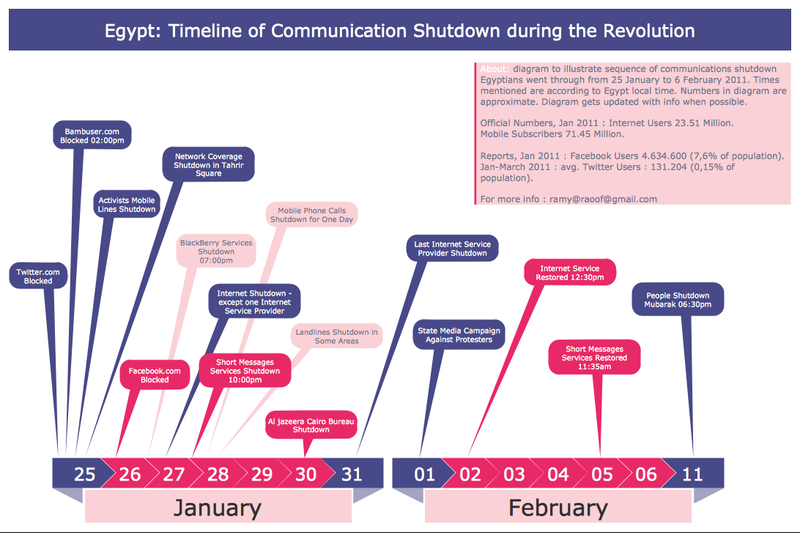 This sample was created in ConceptDraw DIAGRAM infographic generator using the Typography Infographics Solution from the “Infographics” Area and shows the sequence of Communication Shutdown in Egypt in 2011. Use of callouts is an excellent way for arranging large quantity of information or useful data on the relatively small typography graphic. An experienced user spent 15 minutes creating this sample. Use the Typography Infographics Solution for ConceptDraw DIAGRAM infographic software to create your own professional looking and attractive Typography Infographics of any complexity quick, easy and effective. All source documents are vector graphic documents. They are available for reviewing, modifying, or converting to a variety of formats (PDF file, MS PowerPoint, MS Visio, and many other graphic formats) from the ConceptDraw STORE. 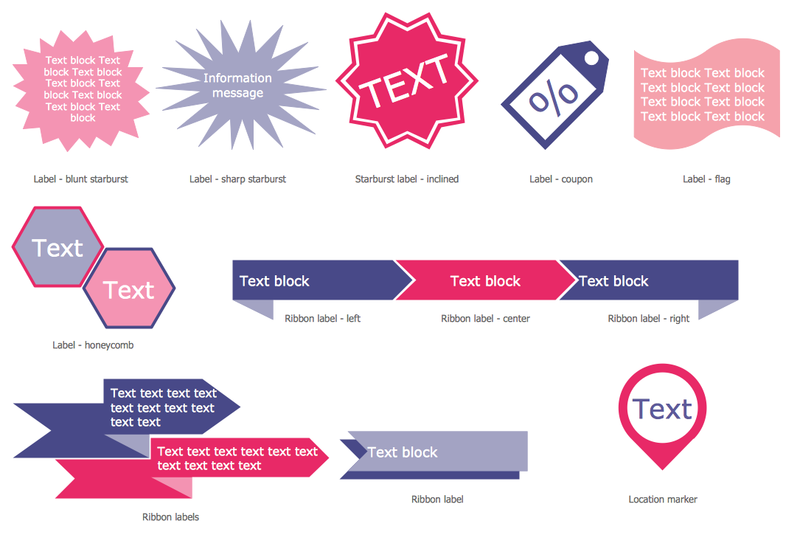 The Typography Infographics Solution is available for all ConceptDraw DIAGRAM or later users.